A year and two days after Argentinian submarine ARA San Juan went missing in the Atlantic Ocean, it was detected more than 900 metres below sea level off the Valdes Peninsula in Argentine Patagonia. Argentina’s president, Mauricio Macri, launched a full-scale investigation and sacked the head of the navy after the submarine was reported missing last year, but the country’s defence minister has admitted that Argentina doesn’t have the technology to recover the vessel. The Indian navy has approached the US government with a ‘letter of request’ to expedite its procurement of 24 MH-60 ‘Romeo’ anti-submarine helicopters, worth US$2 billion, from Lockheed Martin. Washington and New Delhi signed a major security agreement in September, paving the way for increased bilateral defence cooperation. US arms sales to India have grown considerably, amounting to US$15 billion in the last 10 years. 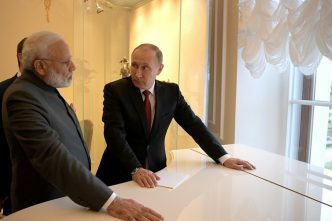 Historically, India has had close defence ties with Russia and, despite US opposition, has progressed with plans to acquire Russia’s S-400 air defence missile system. The Japanese defence ministry plans to upgrade the Self-Defense Forces’ base in Djibouti to cover a wider a range of operations, purportedly to counter China’s increasing clout in the region. The facility currently hosts an MSDF destroyer and two P-3 patrol aircraft used for anti-piracy missions, a threat that has diminished considerably in the last few years. 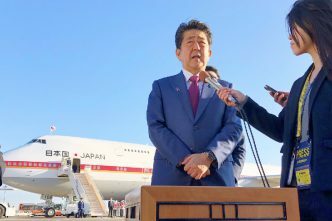 Tokyo intends to use the expanded base as a refuelling station to support Japanese involvement in UN peacekeeping operations and for rescuing Japanese nationals caught in conflict zones. The MQ-9 Reaper will be Australia’s first armed unmanned aerial vehicle after it was selected for Project AIR 7003. Between 12 and 16 Reapers will be acquired to fulfil the need for a medium-altitude, long-endurance UAV, which Australia has been without since retiring its Heron drones in the middle of last year. Australia will become the 10th operator of a General Atomics Predator UAV, though it’s not yet clear what variant the RAAF will fly. 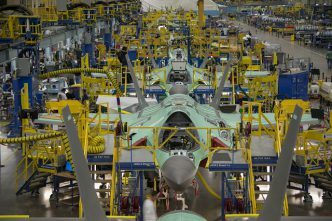 The US Department of Defense has announced that Lockheed Martin will deliver 255 F-35 fighter jets at a cost of US$22.7 billion. One hundred and six of the jets will be delivered to US services and the remaining 149 will be bought by foreign militaries. The contract almost doubles the global fleet, with 280 delivered to date. 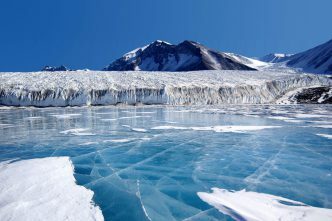 The Royal New Zealand Air Force has flown researchers and equipment to Antarctica in the first of 16 flights planned over the summer as part of the New Zealand Defence Force’s mission to support scientific research in Antarctica. Last summer, the NZDF flew 860 personnel and 60 tonnes of equipment to and from Antarctica. New Zealand isn’t the only country getting ready for summer in Antarctica—Australia’s Antarctic Airbus has made its first sea-ice landings near Italy’s Mario Zucchelli Station. This week the Australian Antarctic Division celebrated the 90th anniversary of the first flight over Antarctica by Sir George Hubert Wilkins. German defence manufacturer Rheinmetall has started building its new facility in Ipswich, Queensland. The centre, which is due for completion in 2020, will employ 450 staff and be used as a production hub for design, manufacturing, export and support for Rheinmetall’s Boxer combat reconnaissance vehicles. The company will deliver around 2,500 vehicles to the ADF under Phase 3B of the LAND 121 program and another 1,000 trucks through Phase 5B. The US Marine Corps has begun using what it calls a heli-drone security system. The system, which can be deployed at sea and on land, has three sensor mast towers and can keep a 360-degree watch over an area with a radius of up to 11 kilometres. If a potential threat is detected, an operator can launch a fully automated heli-drone to investigate. The system is cheaper than alternative security set-ups. The drone can fly at 97 kilometres an hour, which means it can be deployed quickly. Israel is developing a six-ton, all-terrain autonomous ground vehicle called the Sahar system. The vehicle’s three-part operating system is fitted with state-of-the-art technology that allows it to detect explosives, map out a known obstacle in advance, and transmit a warning report about the exact location of a threat. The robot is capable of manoeuvring independently alongside armoured vehicles without the supervision of an operator. Today marks the 20th anniversary of the launch of the International Space Station. 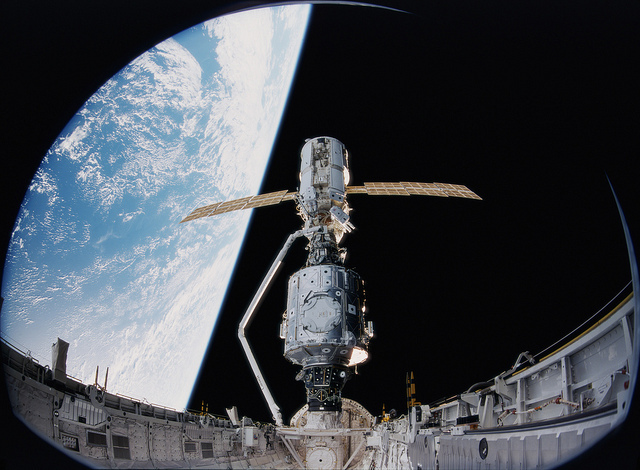 The Russian-built, US-owned first module, Zarya, was launched on 20 November 1998 from Kazakhstan. The ISS is a joint initiative between the American, Canadian, European, Japanese and Russian space agencies, and is one of the longest multinational cooperative efforts in space. The ISS is the largest object ever sent into space and has hosted over 1,500 scientific experiments since its establishment. SpaceX has received approval to put almost 12,000 satellites into orbit by 2028 in a bid to improve wireless internet access. Most of the satellites will be in low-earth orbit, cutting the communication time between users and the satellites and increasing internet speed. The US-based company has six years to put 6,000 of the satellites into orbit and nine years to complete the network project. Ireland is shifting to space technologies to monitor the health condition of its lakes. The Irish Environmental Protection Agency announced it will partner with the European Space Agency’s Copernicus earth observation program to deploy a constellation of satellites by 2030 to help authorities detect pollution more quickly in over 800 lakes that are used for drinking water, fishing and tourism. Currently, authorities have to take physical water samples and can monitor only about a quarter of the lakes. Japan’s cybersecurity minister, Yoshitaka Sakurada, surprised many last week when he revealed during a parliamentary committee meeting that he doesn’t use a computer. He has since clarified his comments, saying that he uses one at work but not at home. Sakurada, who is also the Olympic minister, revealed that he didn’t know how a USB stick or viruses worked when asked a question about cybersecurity in nuclear power stations. 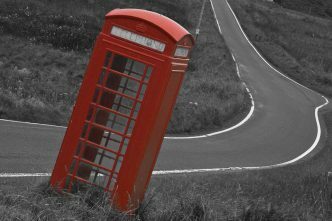 A parliamentary committee in the UK has called for the appointment of a cybersecurity minister, describing the country’s current level of ministerial oversight as ‘wholly inadequate’. While the committee commended the government’s acknowledgement of a need to improve its efforts, it said there was a lack of urgency and purpose. It also commended the establishment of the UK’s National Cyber Security Centre, but warned that expectations of what it could achieve risk overtaking the resources it’s been given. The Norwegian military has revealed that Russian hackers persistently jammed GPS signals during NATO’s Trident Juncture exercise that took place between 25 October and 7 November. According to the Norwegian defence ministry, the attacks occurred in Finland’s Lapland region and northern Norway. While the Kremlin denied the allegations, officials from both NATO and Finland confirmed the attacks. Aakriti Bachhawat, Rebecca Moore, Aru Kok and Georgia Grice are research interns at ASPI. Image courtesy of NASA’s Marshall Space Flight Center on Flickr.